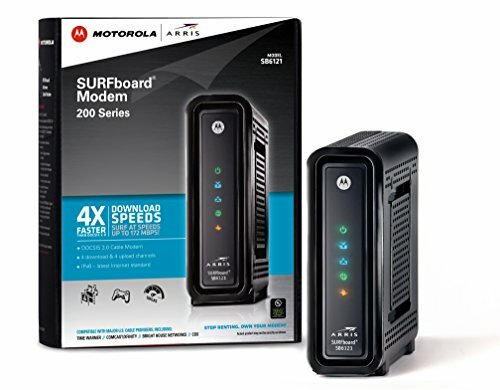 The Arris/Motorola Surfboard series of modems is one of the highest rated and most compatible with ISPs. The SB6121 is the slowest of the series and is an ideal modem for plans up to 150mbps. Be sure to compare the price of the SB6141 modem as it delivers higher speeds and it sometimes priced cheaper than its slower model.